As much as this is all true, it leaves out the extraordinary incompetence, apparent corruption, and outright theft that has occurred in the Basin which it has taken a tragedy such as this fish kill to be brought to the public attention. The problem has started with what was described as "the biggest water grab in Australia's history" following the introduction of the federal government's Murray Darling Basin Plan, which has helped a handful of extractors and irrigators acquire a great deal of water. Webster Water, for example, owns more water than anyone else in this country outside the federal government itself. The deputy PM at the time, Barnaby Joyce, argued instead that the scheme was designed to help agricultural businesses against "greenies". This was at the same time that the government was buying back water from an agricultural company for $78m, double the evaluated figure. With dead fish everywhere, the argument hardly convinces to locals who put the blame on the cotton growers whose dams remained full whilst the rivers ran dry. Other crop irrigators, who have missed out on the bonanza, are at the point of outright political rebellion preparing to challenge the government in their safest seats. 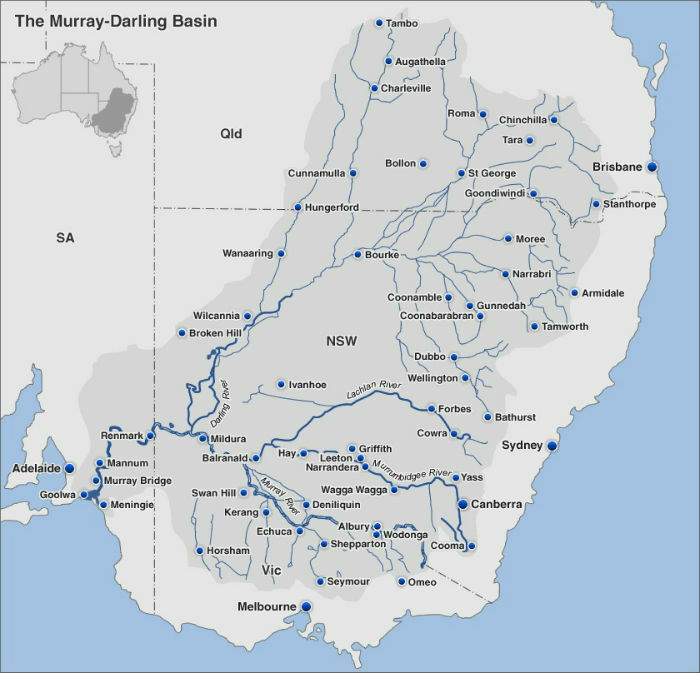 Their concerns were amplified by a South Australian government Royal Commission that found that the authorities for the Murray-Darling Basin Plan had committed "gross negligence" and "maladministration" in considering climate change effects on the environment, determining that the plan had been driven by politics rather than science. The Basin Authority canceled its native fish strategy and the sustainable rivers audit program, following the refusal of New South Wales to provide funding. The former Deputy PM has been accused of the commission of ignoring the law on social and economic neutrality. If negligence, incompetence, and apparent corruption are evidence enough, but the cap-stone is outright theft. When it was revealed that irrigators had stolen billions of litres of water that had been paid by taxpayers, the Deputy PM declared that whilst it was of concern, the federal government would not intervene. Several months later prosecutions were initiated, with some fines eventually applied, as others engaged in massive fraud. One can indeed blame climate change for the general decline in water supplies. But one can equally blame the Murray-Darling Basin Authority and its political masters for gross negligence and levels of incompetence so great that the beg the question of willfulness in the failure to manage water in a manner that is appropriate for those living downstream, as well as whatever sense of the environment is shared by the people of Australia. For it must be recognised that intuitively we have a sense that the water belongs to all of us collectively and equally, and if a business or organisation wishes to utilise more than their share then they must pay the public the proper and open market rate for that privilege. Public income, as always, is best achieved through resource rents and the recent events in the Basin are of no exception. The management of the Murray Darlin Basin has operated with too much secrecy for far too long, it has benefited one small and powerful group of Australians and caused the many and powerless to suffer the costs. This has to come to an end. It is our water, and the private theft of this public resource cannot go unpunished. Commenting on this Story will be automatically closed on May 31, 2019.